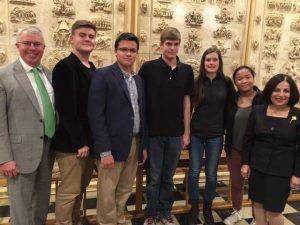 Members of the Young Republican Club from Weston High School attended the Weston RTC meeting last night, and got to spend some time with Adam Dunsby – Candidate for CT State Rep Dist. 135, and State Senator Toni Boucher. It’s great to see our young adults participating in the political process!